Cebu Parklane International Hotel opens to serve Cebuanos and tourist alike on 2006, strategically situated just near Ayala Center Cebu in Cebu Park District. Cebu Parklane Hotel's Kan-anan Restaurant located at the 4th floor showcasing the best of Cebuano Cuisine highlighting the dishes from Malapascua Island, northern Cebu down to Santander, a southern town of Cebu. In the third day of Unilelver Food Solutions Sooo Pinoy Food Trip, Kan-anan is one of the destination and scheduled to be joined by former Tourism Secretary Ace Durano and Miss Cebu 2012 Winner Ms Pierre Anther Infante. Cebu Parklane Hotel's Executive Sous Chef Arman Polon presented to UFS Sooo Pinoy Food Trip delegates a Cebuano Humba. 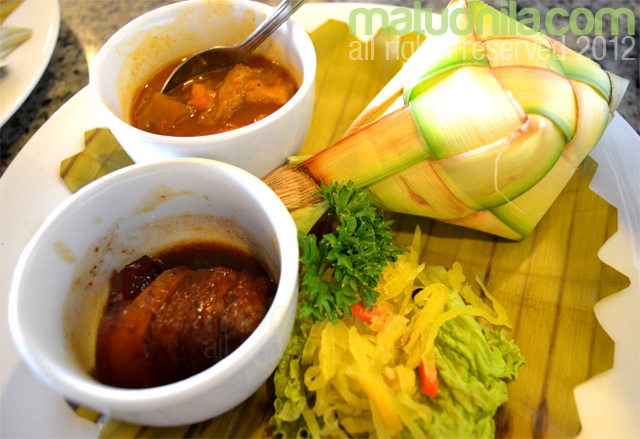 The recipe of Kan-anan's humba is the winner piece from the town of Ronda, southeastern Cebu where Parklane hosted a humba cooking contest among locals. 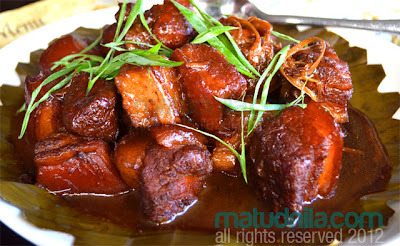 Cebu Parklane’s version of Humba is cooked for 2-3 hours using the traditional firewood. The sweetness of the Humba is derived from muscovado sugar instead of brown sugar. Another unique identity that Cebuano Humba from Ronda is that it is mixed with Sprite soda drink. 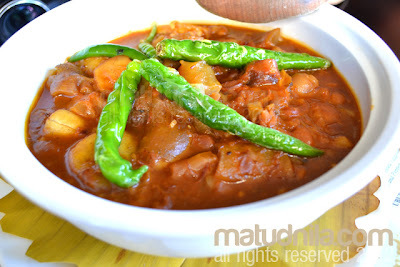 Kan-ana at Parklane also prepares another celebrated Cebuano dish - Balbacua, a beef stew known of its thick sauce, in Luzon, Balbacua is much like Kare-kare except for the presence of peanuts and vegetables. All time favorite Cebuano dishes are then paired with Puso or hanging rice. Kan-anan is visayan term for Restaurant or Carenderia. Discover more Cebuano culinary delights by liking the Sooo Pinoy page on Facebook or follow @SoooPinoy on Twitter. 0 comments: on "Sooo Pinoy Food Trip Cebu: Parklane Kan-anan Restaurant Ronda Humba"